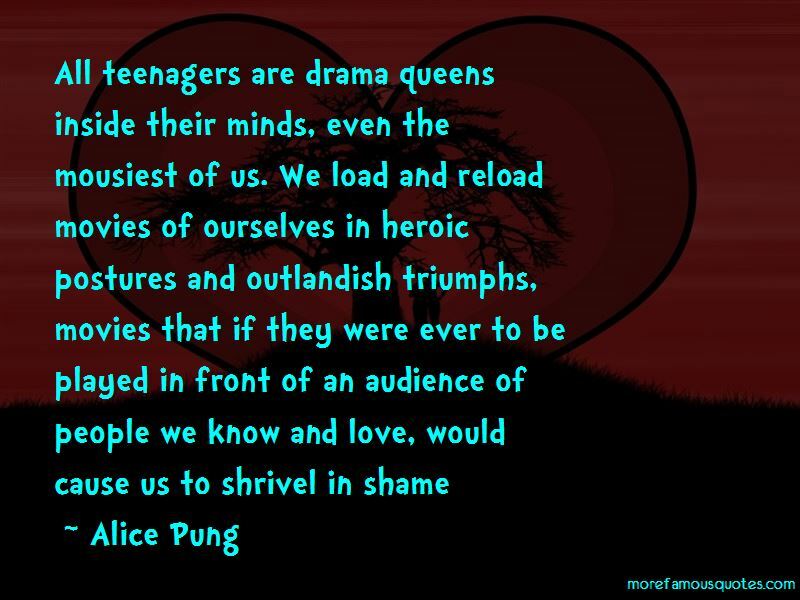 Enjoy the top 12 famous quotes, sayings and quotations by Alice Pung. Love was a verb with a certain amount of energy attached to it - a daily quota - and you had to choose on whom you wanted to spend this energy. That was love. That was why people had to pray for it. 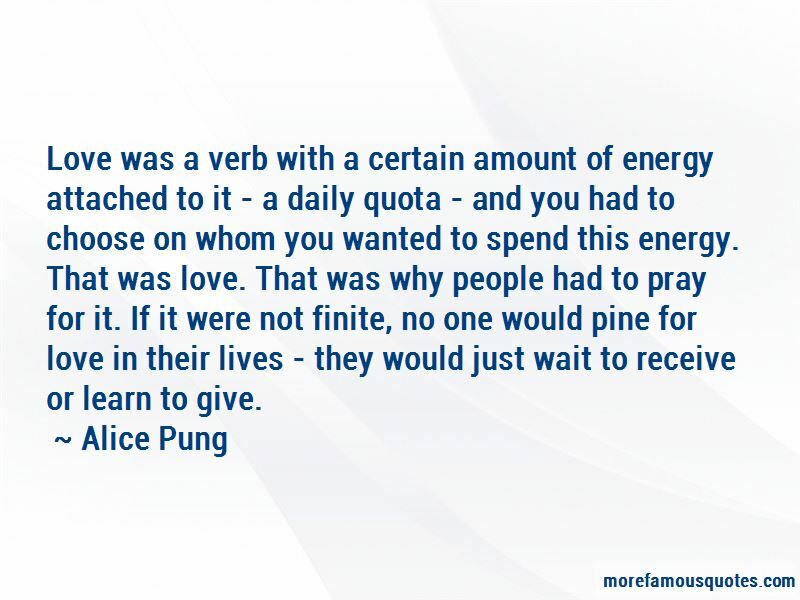 If it were not finite, no one would pine for love in their lives - they would just wait to receive or learn to give. “Never underestimate the power of a scented candle! declared a sign beneath a display of coloured candles. 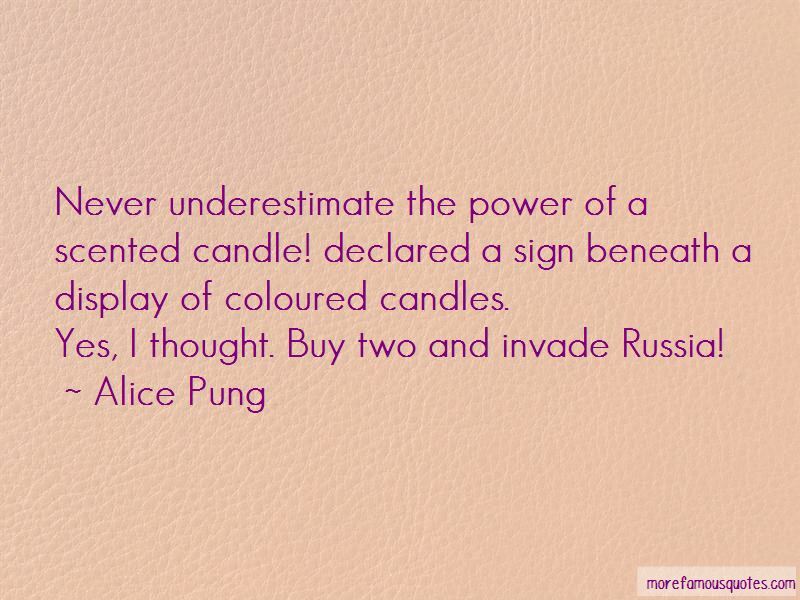 Want to see more pictures of Alice Pung quotes? 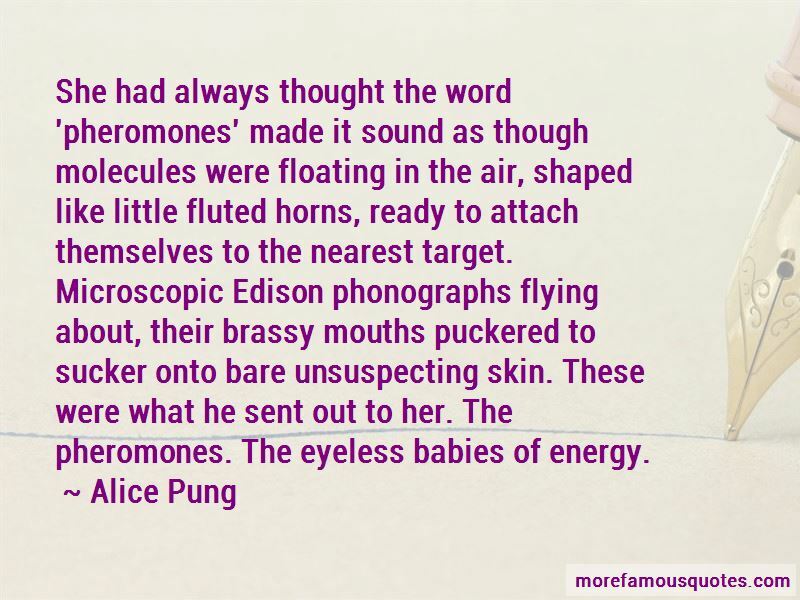 Click on image of Alice Pung quotes to view full size.